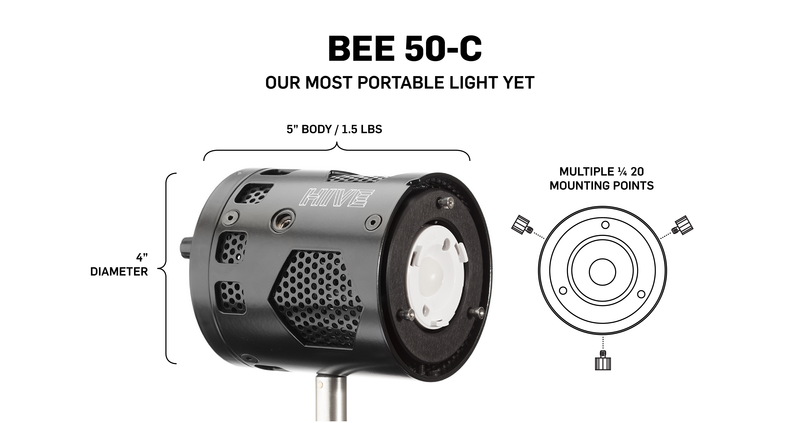 Hive has just announced 2 new lights using their proprietary color technology and they look amazing! These new lights will begin shipping in June. 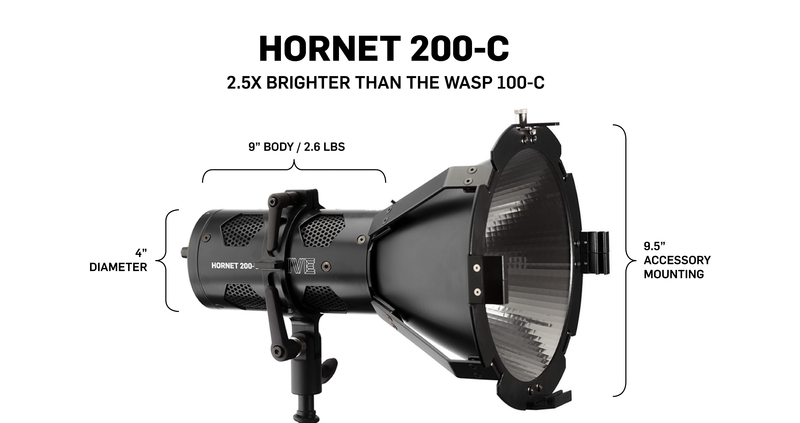 The Hornet 200-C is the bigger brother to the Wasp 100-C and it is 2.5X brighter! While the exact same diameter and only 1″ longer than the original, it packs a serious punch. The Hornet 200-C includes wireless DMX now as well. The Bee 50-C is the little brother at about 2/3rds the output of the original Wasp 100-C. It is the same diameter as the original but only 5″ long. This little guy is going to be a favorite for accent lights on set. With the wireless DMX and the new firmware….. watch Hive Lighting lead the pack of full color lighting. 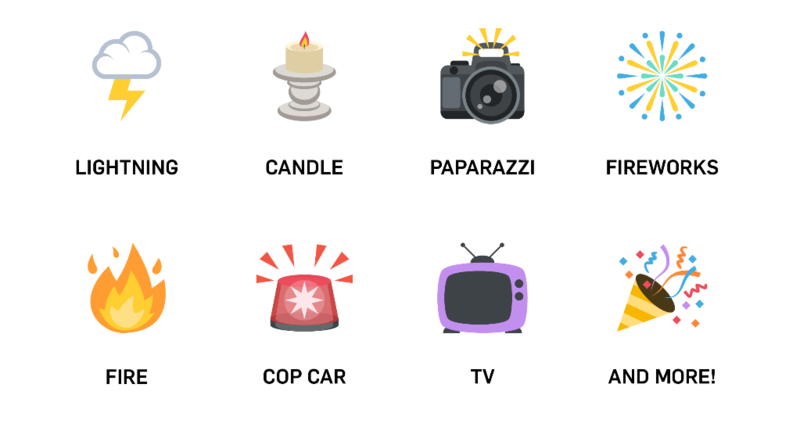 In addition, new firmware will allow the lights to emulate common lighting situations. 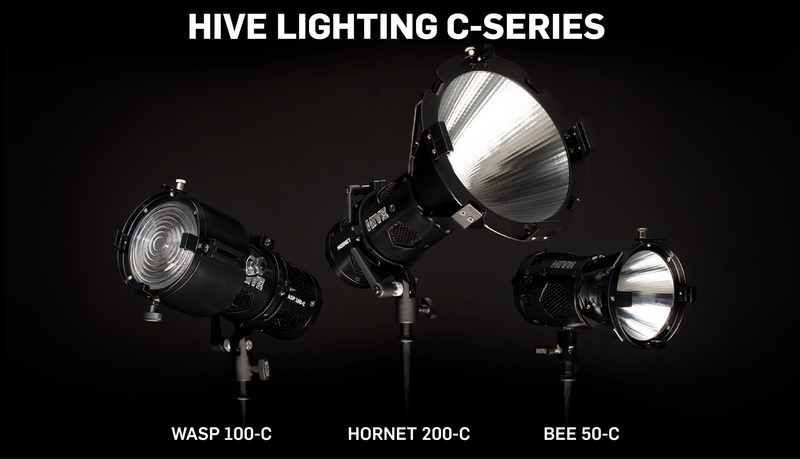 Hive will also be previewing the release of the new C-Series Firmware 2.0, which will feature myriad effects and pre-programmed lighting arrangements, including preset sources like High-Pressure Sodium and Fluorescent. The firmware will feature advanced DMX control systems and come standard with the new 50-C and 200-C fixtures. The update will be available for download on existing Wasp 100-C units in June. Head over to www.hivelighting.com for all the details! Previous Post Previous Post: Want to improve the audio for your video or film but don’t know where to start? Copyright © 2019 Imagination Creation Films. All rights reserved.